Our FastPass Pre-Registration service has now closed but you don't need to pre-register to attend our Open Evening event. Instead, please report to College Reception where you will be able to sign into the building electronically on the night. 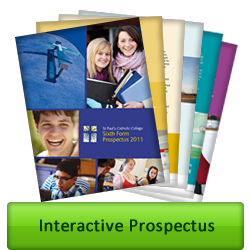 We are a high-achieving 11 to 18 College with distinct Sixth Form in Burgess Hill, West Sussex. We strive for excellence in teaching and learning to help students reach exceptional levels of achievement in their academic and personal development. Prospective students and thier parents are warmly invited to attend our next Open Evening on 15th November from 6-8pm. Pre-register for FastPass above. For the latest news and student announcements, visit our Twitter page. Visit our new YouTube channel for Visual Arts. Visit our new YouTube channel for Drama performances and Media productions.